Why Not Just Use Bar Soap? Here Are The Best Face Washes And Cleansers For Men In 2018! Would you agree that buying skincare products in your local stores can be a painful and, often times, a frustrating ordeal? First of all, your choice is limited (when compared to online shopping). As a result, we often buy products we don’t even like just to “be done with it and go home.” But what happens then – you run into a huge line and end up spending way more time shopping that you originally intended. This ever happened to you? If you answered “Yes” to both these questions you are in luck because the sole purpose of this article is to give you the freedom to choose the best face wash for men for your specific skin type and save you a huge amount of time since there are no lines in online shopping! NOTE: if you want to jump straight ahead to the “reviews” section, you should Click Here. Of course, we wouldn’t be talking about mens face washes if they offered no benefits… So what are they? First, and the most obvious, the benefit of using a face wash is getting rid of dirt, oil, dead skin cells and other contaminates your skin builds up during the day (or night, but we will discuss this in the next section). 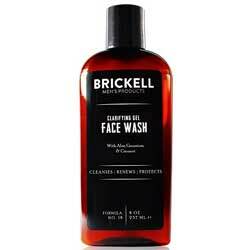 Second, a proper face wash for men will set a solid foundation for your overall skincare regime. Cleaning your face is just the first step in a good skincare routine, but if you get it wrong, you might hinder other products you intend on using – moisturizers or lotions, for instance. Bar soap might be good for your hands, but you should not use for face cleansing. Mostly because it will dry your skin out and, if you have sensitive skin, it may lead to irritation and breakouts. Morning – most guys use a face wash first thing in the morning and this is generally a good practice, though you might find some opposing information (for example this one from Huffington Post where Michelle Phan says “I don’t wash my face in the morning”). But if you dig a bit deeper you will see that Michelle says she does not use a facial cleanser but washes her face (of course, she is a woman but the same goes for men). So what should you do? Well, the best thing you can do is something in between – wash your face with a mild cleanser because, after all, there is some dead skin and oil build up and it would be a good idea to get rid of it. Evening – there is no opposing information when it comes to evening, it is a good idea, but… avoid it if you`ve already washed your face in the morning and have sensitive skin. In this case, wash your face only once a day. 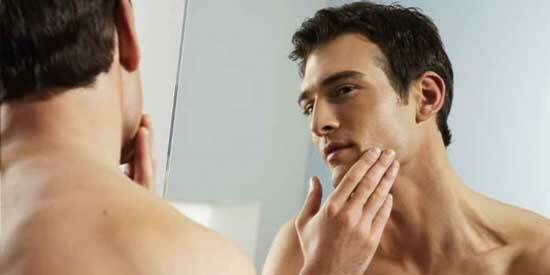 Face Wash Prior To Shaving – I don’t know about you, but usually, I shave after I take a bath. If you don’t agree with me on that you should agree with me on this – removing oil and dirt will help your razor run smoothly over your skin. So, doing just a mild cleanse before you start shaving is not a bad idea. It is important to note that even if you pick the very best face wash for men, you might still end up with skin irritation simply because you didn’t match the right product to your skin type. Normal skin is the least problematic type, and for this reason it may be difficult to identify it yourself. In any case, normal skin usually does not reveal excess oils, feels vibrant, fresh and simply looks good. Choosing the best face wash for men for this type of skin is relatively easy, but we will recommend the one we feel is the best at the end of the article. 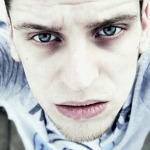 Dry skin will still look clean and, for younger people, it is not such a big problem. But if you combine age and poor skincare, it can lead to trouble. Dry skin is prone to wrinkling, irritation and will often feel flaky. This is why you should pay a little more attention when choosing the best facial wash – you need one which will clean your face but, at the same time, keep your skin hydrated. 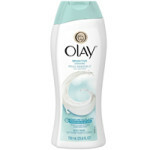 The exact opposite of the one we discussed previously… Oily skin is also my skin type and I can tell you I`ve had quite a bit of problem dealing with it. Especially in my teens (talk about the timing, huh), my skin appeared shiny, greasy, I had enlarged pores and would break into acne fairly easy. But, if we look at the bright side, some researchers say that oily skin is less prone to wrinkles, so we got that going for us guys! Sensitive skin is one of the toughest skin types to deal with since it will feel tight and dry most of the time, become reddish and irritated far too often and, generally cause a lot of problems. 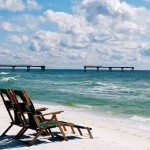 You have to be extra careful here and choose only products with the least amount of chemicals. Combination skin is the most common skin type among men (and women) and it usually means your nose and forehead are oily while the rest of your face seems dry. So, choosing the best mens wash for your combination skin might be a bit challenging, but don’t worry, that is why we are here! Before I go on I just wanted to say that I hate singling out products; as you can see for yourself, we always give you 5 choices we feel are the best. We do this for one simple reason – we want to do the research for you and help you save time but still want to give you a few products to choose from. Today, however, we are going to break this practice simply because Brickell is breaking all records and has been (for quite some time) one of the best selling items we reviewed. People love it… Why? Read on and you’ll find out yourself. And, if you are suffering from small, sporadic acne breakouts(like me), Brickell scrub will become an indispensable weapon in your skincare arsenal! Give it a go and let us know your thoughts! 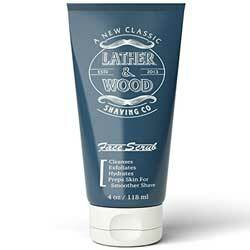 Lather&Wood’s makes one of the coolest looking face scrubs out there, designed especially for male skin. A cool thing about this product is that it is not just a nourishing face wash, it is also an awesome foaming exfoliator and toner; basically, you are buying a complete 3-in-1 solution for your daily face care. L&W face scrub is free of harmful chemicals and toxins; some of the certified organic ingredients it features are: Aloe Vera, glycerin, sweet almond, coconut, sunflower, tea tree oil, and many others. Natural ingredients do an awesome job of cleaning your skin without irritating it, which is why this is a perfect solution for people with dry, oily, combination and sensitive skin! 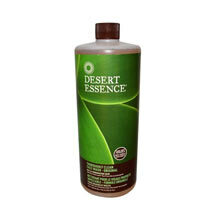 Chances are you haven’t even heard of Desert Essence but this is a company founded way back in 1978! It is actually a company that introduced Tea Tree Oil to the US market! They do an awesome job of incorporating natural solutions and organic ingredients into their products and this is the reason why we simply had to mention them today. It also contains coconut and lavender oil while being free of parabens and artificial fragrances and dye. Overall, it is a gentle cleanser which will leave your oily skin silky smooth! Fairly sure you haven’t heard of this one either. But their facial wash is a product of 15 years of research and contains absolutely no harmful chemicals making it perfect for sensitive skin (though it is recommended for all skin types). 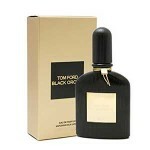 It is also important to note that each bottle is hand made with bio degradable labels and recycled plastic. 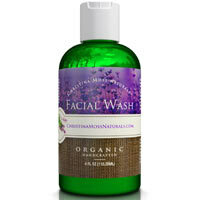 It is a gentle face wash, designed to strip the skin off the dead cells and oil build up, without drying out your skin. Not only that, it will help repair skin damage and actually have an anti aging effect. So if you are interested in trying out a product that is 100% natural and organic, this is probably the best choice currently available on the market! This product has been around for a long time, there are reports of people using it for as long as 10 years – an absolute record if you ask me! Why are people still using it after all these years? The simple reason is its superb quality. The only drawback of this product is that it is not sold in too many stores so, when people do find it, they buy a couple bottles and stock it for later use. You don’t have to do this, since you can easily buy it online, often cheaper than in your local store. 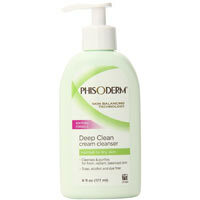 People with dry skin swear by it, saying it is the best cleanser they ever came across. Now, I can`t give you my personal experience since I don’t have dry skin, but if you decide to use it, you can leave your comment down below. Finding a cleanser for combination skin is a bit tricky. As you might have noticed, we already went over some products that can be used for all skin types, but I felt the need to recommend one for combination skin specifically. After a lot of search and user reviews, we came across Biore as it will hydrate your skin and, at the same time clear your pores. The problem with other products is that they can do a great job cleaning excess oil but leave your skin dry and flaky, whole others can leave the face too oily. 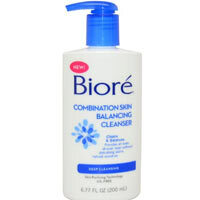 Biore offers awesome balance and you should definitely give it a go!